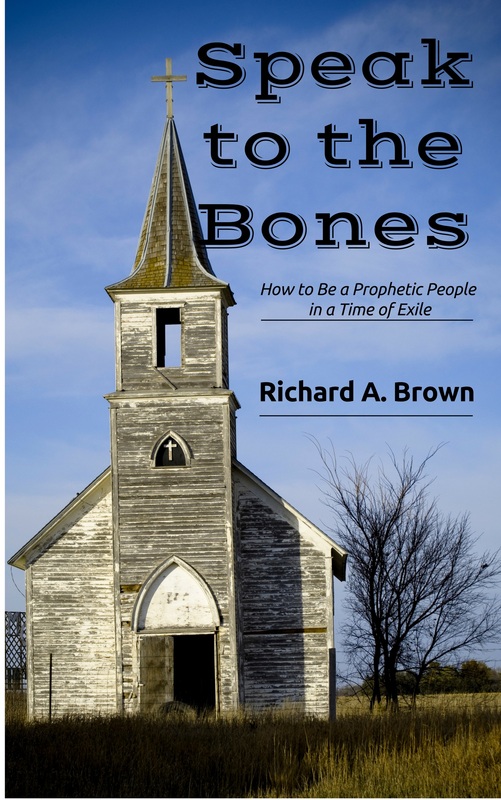 My March 2005 Herald article, “Can These Bones Live?” connected Ezekiel’s vision of the dry bones to the story of Jesus interacting with Martha and Mary before raising their brother Lazarus from the grave. Click on this link to access the article in the archives at IsaacsPress.com. Bones. Dry, barren, dusty, bleached bones—filling the valley for as far as the eye could see. A powerful image of death, of the crushing end to a once mighty people. Ezekiel tried to comprehend what the Lord was showing him in that incredible vision. And then, the question: Can these bones live? Centuries later two sisters, Mary and Martha, wept in front of the tomb of their brother. If only Jesus had arrived in time, things would have been different. He could have healed Lazarus. But no, now it was too late. Four days had passed. When Jesus did come, they were deep into their grief. There was no hope for any other outcome. If only he had come sooner. 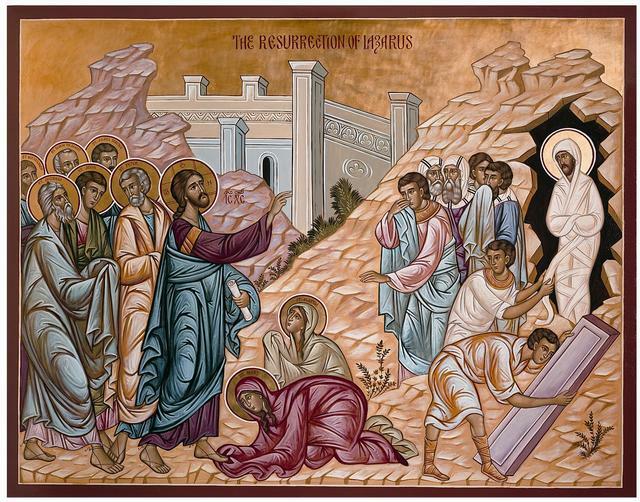 Yet there was Jesus—teacher, healer, Son of God—standing in front of the tomb, uttering the command: Lazarus, come forth! The thirty-seventh chapter of the book of Ezekiel and the eleventh chapter of the Gospel of John have in common life rising from death, hope replacing despair. Christians read both accounts through eyes of faith, and in doing so they catch a glimpse of the greatest mystery of all: the resurrection of Jesus. The conquered people of Judah in the time of Ezekiel had been in Babylon almost seventy years. The children and grandchildren of the original captives knew little of their homeland, the promised land of their ancestors, except for the stories and traditions passed down to them. Those stories were their link to the past, but what they didn’t realize is that those stories would provide a link to their future as God’s people. Those stories would help pave a highway through the wilderness to go home to a place they had never been before. Much had changed during their stay in Babylon. It wasn’t a bad place, really. For many it had become a place of prosperity and comfort. It was home now. Many would remain there, even after the Persian emperor Cyrus, whose army had defeated the Babylonians, made it possible for the Jews to return to Judah. In fact, there remained viable Jewish communities in the region (now present-day Iraq and Iran) until the fundamentalist Islamic revolution in Iran in the late 1970s and the Iraqi regime of Saddam Hussein. Ezekiel, certainly, was baffled by the scene laid out in vision before him. Can these bones live? What an absurd question. They’re bones, just bones. But the Lord didn’t give up, commanding Ezekiel to prophesy to the bones. Well, that was even more absurd. The Lord told Ezekiel he should speak the words that would be given him. And so he did—and the bones began to rattle and come together. Imagine the sound of millions of dry bones mysteriously clicking and clacking, reattaching themselves into human skeletons. After that came muscle and tissue and organs and skin. Yet they were still not living human beings—more like upright cadavers. “Now,” the Lord said, “prophesy to the wind.” In Hebrew the same word, ruach, can be translated as wind, breath, and spirit. And so, from the four corners of the earth came ruach and filled these bodies and brought them to life. This, Ezekiel came to realize, was the people known variously as Judah, Israel, the Jews. They would live again; they would be restored. The stories of their ancestors would be continued and joined with the stories of their descendants. These stories would be placed within the story of God. Typically humans want to place God’s story in their own, to use and appropriate God for their own purposes. But that’s not the way God intends for it to work. We are within God’s story, not the other way around. And that makes an enormous difference. We encounter Lazarus’s sisters, Mary and Martha, elsewhere in the Gospels. They were obviously close friends of Jesus and had opened their home in Bethany to him, including during the last week of his earthly life. The sisters are now models, or metaphors, for the being and doing aspects of the spiritual life. We all know Marys and Marthas in our own time, and their relationship with each other and with Jesus gives us insight today into the idea of spiritual community. Did Jesus deliberately show up late, after Lazarus was dead and buried, just to demonstrate what was certainly his most dramatic miracle? Maybe, maybe not. That’s probably not important anyway. What is important is that he did show up, and behind his spoken command was the most powerful force on earth or in heaven: God’s ruach. That is what resuscitated Lazarus. Unlike Jesus later on, Lazarus was not resurrected, or transformed, into a new spiritual/physical being. He was just brought back to life—not that that was a minor or simple thing, of course. It was a pretty big deal then and would be today, even with all of our medical and technological expertise. Death and dying are inevitable parts of human existence. Sometimes they’re silent, creeping up without much notice, other times expected or even anticipated. Once in a while they arrive with great drama, with overwhelmingly powerful force. As I write this at the beginning of a new year, headlines are filled with news of the tsunami that struck the entire Indian Ocean region—Sri Lanka, Thailand, and Indonesia in particular. 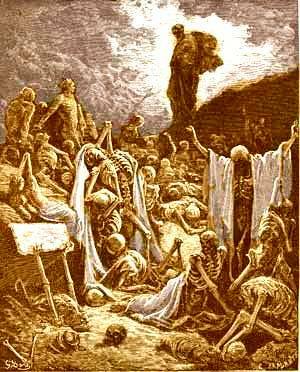 Today, the grim tally is up to 150,000 human beings killed, with row after row of bodies lined up waiting to be identified and buried. Another half million are injured. Who knows what tomorrow’s headlines will say. The grief, the mourning, the physical devastation are so overwhelming, so incredible, as to be almost unbelievable. This was no terrorist attack but the result of a giant wave created by a 9.0 undersea earthquake traveling 500 miles per hour, striking without warning. Once again people utter the same question as the one on so many lips on September 11, 2001: Where was God? Isn’t it amazing that people keep asking that same question? I’m sure the ancient Jews did as Jerusalem and its holy temple were destroyed, while they were carted off to captivity in faraway Babylon, and as the decades of exile tallied up. Mary and Martha expressed it just a little differently, but it meant the same: Where was Jesus? It’s almost as if we’re innocent bystanders and it’s God’s job to do everything—to protect and save and heal and raise up. 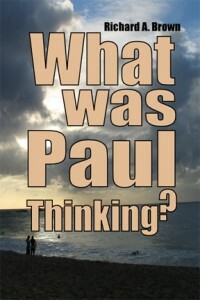 The question arises after sudden tragedy but also after thoughtful consideration of decades-long trends. During the past forty years there’s been a significant exodus of people from what’s now called the Community of Christ. Why didn’t God stop them? 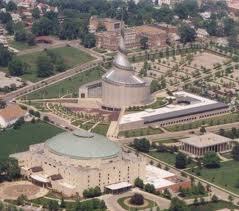 There were those who marched defiantly out the front door, upset over dogma, beliefs, practices, rituals, ordinations. They got most of the notice, naturally, but what about all the others who slipped quietly away, tired of the fighting, the patient waiting for change, the slowness of the institution to respond to upheavals in cultures and generations? And now, something totally unexpected: a sadness has settled upon us with the resignation of our prophet-president. There’s no step-by-step instruction book, no one-size-fits-all pattern for creating spiritual community. It’s a matter of spiritual discipline and Mystery. 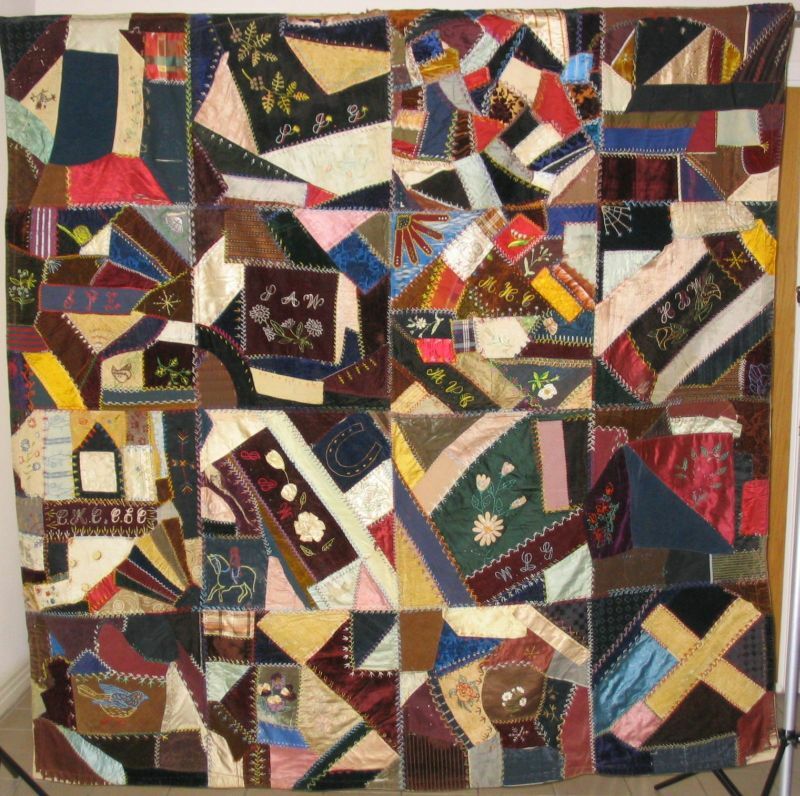 It may appear to us like a crazy quilt—a jumble of fabric pieces stitched together with no discernable pattern or color theme whatsoever. But from God’s perspective that same quilt will have the precision, order, and color coordination of the finest Amish hand-stitched masterpiece. We will survive, and yes, I believe we will thrive, too. To do so we will tell the stories of our spiritual ancestors in North America and in dozens of countries throughout the world where God’s ruach has blown with increasing force. We will continue to write new stories to add to the old—all of it within God’s story. We begin and end with the story of Jesus—born in humble circumstances, a healer and teacher and miracle worker and troublemaker, who suffered and died and was raised to a new and transformed existence by the power of God. In between we share our stories, live our faith, raise our children, welcome strangers into our midst, seek justice and peace, and discover ruach within and around us. We walk in the Light, for we are a people of God. No, we’re not the only people of God. But we are a people of God! Make no mistake about that. We are called, like Mary and Martha, to be and to do. We are challenged, like ancient Judah, to return from exile as a new and transformed people on a wilderness highway yet to be built. I hear the rattling of bones, the unwrapping of burial cloths. You cannot see ruach, only feel its touch and see its effects. Yes, indeed, these bones can live! This entry was posted in faith, hope, Jesus Christ, mercy and tagged Ezekiel, faith, Gospel of John, Hebrew Bible, Jesus. Bookmark the permalink.